Well as they say “This is Texas”:) After a very warm week and a good weekend as well, the cold front just rolled itself right on in! And..
Bring on the Heat and Excitement! Well we have finally reached Springtime with Dallas warm temps up in the 80’s all week long!.. Ingredients: 3 tbsp. butter 2 tbsp. chopped shallots 1 tbsp. chopped garlic 1 ½ cup chopped smoked tomatoes 3 oz. Tito’s vodka 2 cups.. Among the many great things that the Y.O. 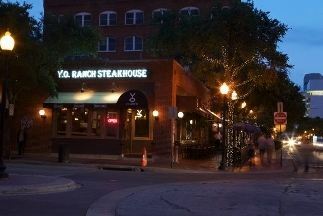 Ranch Steakhouse has to offer, one of our most adored amenities we have is our beautiful..